Prolotherapy is the simplest form of regenerative therapy we offer. It is an injection therapy with simple ingredients that include concentrated dextrose and an anesthetic agent. It works to heal and relieve symptoms of degenerative joint disease or chronic ligament or tendon problems by causing a targeted, therapeutic inflammatory response that induces healing growth factors and migration of stem cells to the area. Prolotherapy consists of a series of 2-8 injection treatments spaced apart by several weeks to allow the optimal therapeutic effect to take place between treatments. The solution is injected into the affected joint, ligament or tendon. That’s it. What do prolotherapy treatments feel like? We will typically anesthetize the area to be treated to minimize the intensity of the treatment, but patients should expect to feel some mild to moderate pain during and after the injections. This pain will typically be moderate for the first few days after being treated and there may be a residual soreness in the area for the first number of days up to a few weeks after each treatment. This should not be treated with anti-inflammatory drugs, as it is part of the therapeutic action of the treatment. We can prescribe pain relievers if the pain significantly interferes with the patient’s daily activities. 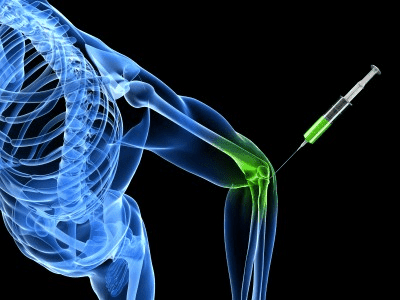 What are the results of prolotherapy*? * Disclaimer: Statement has not been validated by the the FDA. Prolotherapy has not yet been FDA approved for any particular medical condition. Results are based on empirical evidence and the results of various published studies.